Well I’ve got three books here, but it’s two very small ones and a Virago so it seemed sensible to do them together. Also some news of several new acquisitions below … But first two small books, read on my journey to London to have a day out with my friend Emma last week. I had cheap tickets on the fast train; good for getting more time in London, not so good for reading time, but I still managed to finish these two, and in fact, start the Virago Modern Classic, too. “Sunlight on a Broken Column” turned into a readalong with two booky friends, so do click through to have a look at their reviews, too! I picked up this print version of a book I already had in e-book format on one of my other wanderings through London (this time, although I went to the Charing Cross Road, I managed not to buy ANY books …) and it was perfect for a train journey read. A collection of Virago authors were asked to write a short piece on the theme of “40”, and this is the result: pieces about Virago publishing itself, about the authors’ own lives, about other writers at 40, short stories, poems, and a clever list of excerpts from books featuring the numbers one to forty. A very varied collection indeed – nothing to really get your teeth into, but, as I said, perfect for travelling. This was bought on my last trip to Oxford, and it’s exciting to be among those buys now (and out of July’s ones!). This was a very interesting read: a novel published in 1961 by a woman living in England who had left India in 1947, around the time of Independence. Anita Desai’s Introduction brings out the fact that the author’s life was very like that which she describes in the book, and it is a very intimate portrayal of a largely vanished way of life which could only have been written from the inside. The novel centres around a traditional family in Lucknow in the 1930s who are working out slowly how to exist in a world where the colonisers are being edged out at the same time as the patriarchal head of the family is dying, politics is becoming more important than looking back at history, but history is in the making. But still the eternal patterns of family life and sacrifice, illicit love, children rebelling and mothers not understanding persist. In a rich prose that is almost Modernist at times, Hosain describes many different types of character, from distant patriarchal figures to enchanting women who become all-too-human, basing the book in a rather fascinating way around the houses in which they live (as the women’s lives are very internal in terms of housing and emotions), with a particularly powerful last section viewing events during and since Partition through the lens of the deserted family house. All of this is observed by Laila, one of the daughters of the house but with a tenuous position in adolescence and adulthood owing to her lack of family and then bid for freedom, who learns to think for herself almost against the odds. A powerful and moving book that gives a different perspective on the events I’ve read about so many times before..
Heaven-Ali and Kaggsy have both been reading this book at the same time – read Ali’s review here, and Karen’s too. So, we’re going to Iceland for our (delayed so that we go when the buses are running) honeymoon, and I’m using that as an excuse to top up my collection of books on the country and its people. Bank of Matthew paid for these lovelies (Bank of Matthew is a scheme whereby Matthew puts aside money for me for Christmas and Birthday, and I can then claim treats as I want them as I go along through the year) and I’ve decided that instead of a Month of Re-Reading in July this year, I’m going to have a Month of Reading About Iceland in May. So watch this space for some reviews of these in but a couple of months! 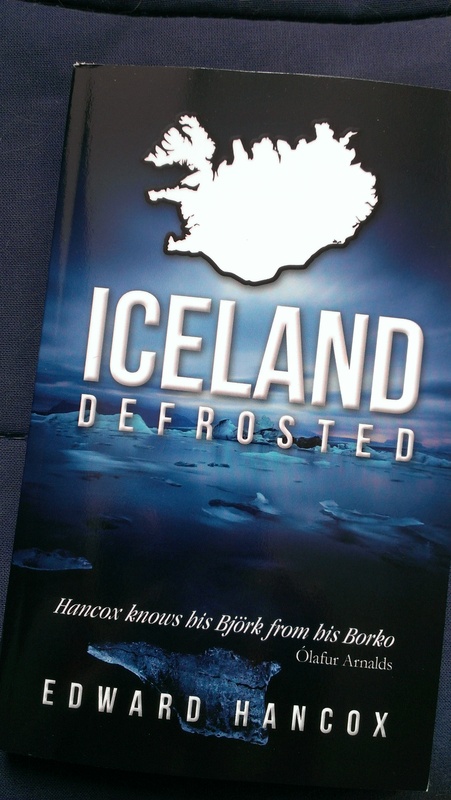 “Iceland Defrosted” is an apparently self-published book collecting this Icelandophile’s (is that a word) magazine columns and other writings about his experiences in the country. It looks well written and amusing but detailed and long enough to give me lots of information about the places and people of modern Iceland. These three lovelies are a memoir, a novel and a collection of translations of the saga. “Names for the Sea” follows the author as she moves to Iceland and lives in Reykjavik with her family for a year, working at the university. I could NOT work out what the little things were on the cover at first: they turned out to be people bobbing in the thermal waters of the Blue Lagoon. “The Tricking of Freya” is a novel about a North American woman of Icelandic ancestry returning to the island to discover some family secrets – a rare example of fiction about Iceland that isn’t of the Scand-noir genre. “The Sagas of the Icelanders”, with a Foreword by Jane Smiley, who wrote a saga-like novel about Greenland that I haven’t actually read yet, brings together a collection of translations of well- and little-known sagas, in a lovely Penguin Classics Special Edition with deckled edges, no less (wavy, hand-made looking page edges to you and me). I’m really looking forward to reading these, and they’ve joined Halldor Laxness on a special pile on my TBR, which I will no doubt share with you at the beginning of April. Have you read any of these? What are you reading at the moment? Do you have any monthly theme reads coming up? Lovely reviews Liz – I am just coming to the end of “Sunlight….” but I think my comments will probably have to wait till after the weekend! I’ll look forward to your review, and I’m glad we did manage to coordinate reading it at pretty well the same time! I have read “The Tricking of Freya” and very much enjoyed it. Loved the male hero. This was my first introduction to Iceland and although I’m having difficulty finding other books from there I’m definitely keen to read more. I’ve seen some attractive photos and also some very rugged ones. Most interesting place indeed. I’ll be waiting your comments after your visit with great interest. Oh, good, that’s helpful, and glad you liked it. There are a lot of crime novels set and from there, I don’t know if that reflects the general scandi noir craze or whether that’s what people mainly write. I’m not up to reading books in modern Icelandic, unfortunately! There is Arnaldur Indriðason and also Halldor Laxness who seems a bit bleak but does look interesting. Watch this space in May … And I’ll be sure to post some photos here or on Flickr etc., can’t wait to go! So glad you liked Sunlight on a broken column. I have that Virago is 40 collection on my kindle keep forgetting it’s there. And I’m glad that you liked it, too. Yes, I’d have forgotten that book languishing on my Kindle, I’m sure, had I not come across it on CXR. Give my love to Any Amount of Books when you inevitably visit today!